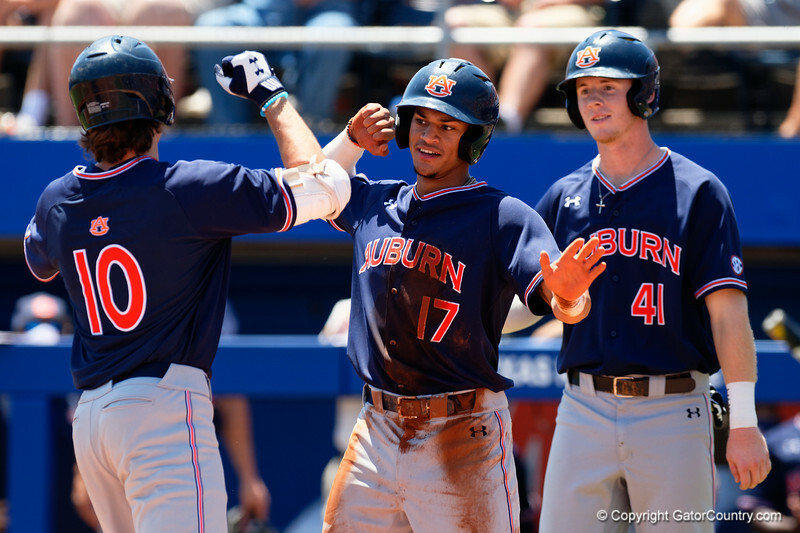 Auburn infielder Will Holland celebrates with Auburn outfielder/infielder Edouard Julien after Julien put the Tigers up 3-0 with a 3-run home run as the Gators win the series over the Auburn Tigers with a 12-3 game three win. April 28th, 2018. Gator Country photo by David Bowie.